The hottest trend in fashion art! The hottest trend in fashion art – one easy step for anything you can dye! 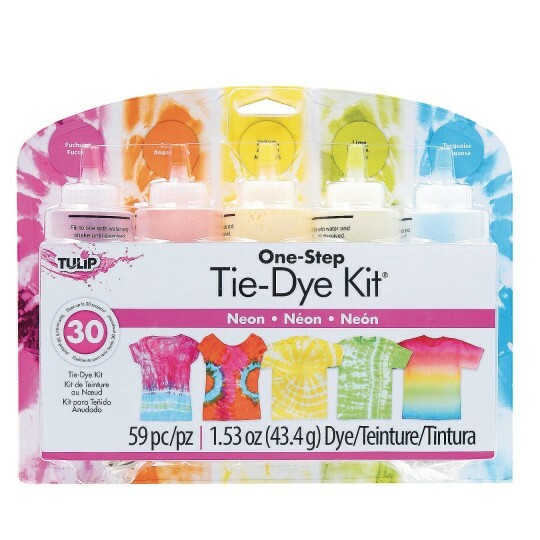 Includes 5 vibrant neon cold water dye colors conveniently prepackaged in squeeze bottles plus protective gloves, rubber bands and a tips/idea guide. No prep work is needed because the soda ash is already in the mix! Just add water. No heat setting required. Dyes are permanent, colorfast and mixable to create custom colors. 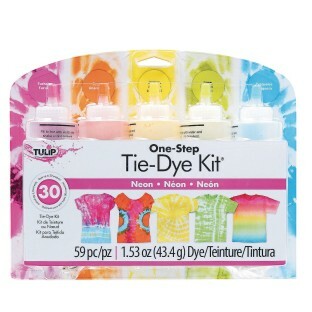 Includes enough dye for up to 30 projects. Non-toxic. Colors include Fuschia, Orange, Lime, Yellow and Turquoise.